Do you style yourself a connoisseur of the finer things in life, but feel cramped by a college budget? Fear not! Here are two ways to take advantage of New York City's high culture without spending a fortune. Although the high-ticket prices might keep you away from the Metropolitan Opera House in Lincoln Center, the Metropolitan Opera now broadcasts its performances live in HD to movie theaters around the world. The 2011 season features such famous performances as Wagner’s Die Walküre and Verdi’s Il Trovatore. What are the downsides? You certainly won’t have to put on your evening gown or best suit to enjoy these opera performances. And you won’t get to rub shoulders with New York City’s wealthy socialites. But the upsides may far outweigh these downsides. You’ll save a fortune on tickets and you’ll always have the best seat in the house. HD broadcasts zoom in on the opera singers, just as if you were watching a movie. And the quality of the HD picture may make you forget this is a broadcast and not the real deal. Where: HD performances are broadcast at movie theaters around the city, but make sure to buy your tickets well in advance since they sell out quickly. Or you can catch free HD performances broadcast live in Lincoln Center Plaza in August and September. Opera may be an acquired taste, but who could turn down an opportunity to enjoy a world famous symphony orchestra at the beautiful Avery Fisher Hall? 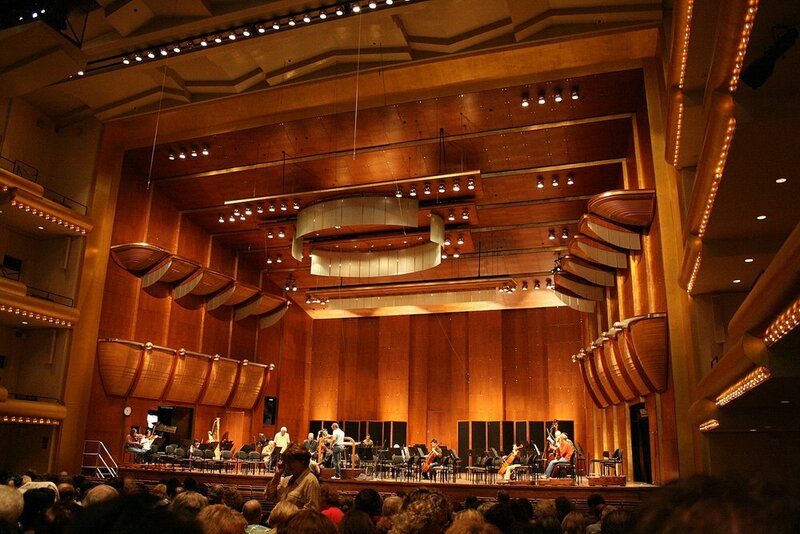 The New York Philharmonic now offers open rehearsals to the public. Their website states, “An Open Rehearsal is a fascinating opportunity to watch the New York Philharmonic at work, and see how a piece of music is shaped and polished by the conductor and the musicians.” For fans of classical music, this is a once in a lifetime opportunity. Composers featured this season include Beethoven, Brahms, Tchaikovsky, and Liszt. When and Where: Open Rehearsals are held on Tuesdays, Wednesdays, and Thursdays at Avery Fisher Hall. They begin at 9:45 am and run until 12:30 – 1:00. Ticket Prices: Tickets are $18 and can be purchased in advance at this website: http://nyphil.org/concertsticks/special_openRehearsals.cfm (or in person at the box office on the day of the performance).